There is something special about an old house. Maybe it is the architectural details or amazing craftsmanship so rarely found in homes built today. Or it could be the unique characteristics, like stained glass windows. What stands out the most to me, are the stories that live behind the walls. Each room has a different purpose and a different story. Here are the top 10 reasons why I love living in my old house, the Vrooman Mansion. 1. The beautiful stained and leaded glass windows. Each window design was chosen for a reason and the colors were selected for the style of the home when it was built. Vrooman Mansion is adorned with stained glass windows throughout and I appreciate being able to see them each day. 2. The challenge of being the caretaker of this 150-year-old treasure. Vrooman Mansion was built in 1869 and the Scott-Vrooman family spent their whole life there. I love the challenge of preserving this beautiful and historic part of Bloomington’s history. 3. The craftsmanship and woodwork. Most homes built today do not have the same level of woodworking as older homes. 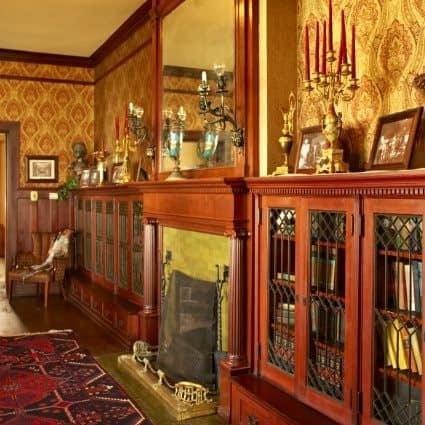 Vrooman Mansion has detailed woodwork throughout and each room features a different type of wood and unique characteristics. 4. Listening to the vents and steam pipes of the radiators. These sounds just aren’t heard in newer homes. Each cool evening when I hear those pipes turn on, it reminds me of the simple joys in life. 5. Enjoying not one, but three porches. Each of Vrooman Mansion’s three porches offer a different view, a different perspective of the world outside, where I enjoy sitting on a warm summer evening, listening to the sounds of the city. 6. The history. I love researching and learning about the families that once resided in Vrooman Mansion. The home has been lived in by a few different families over the years; there is so much to learn, and so many stories. 7. Experiencing the unique and innovative features: the double-skylight, cold storage room, speaking tube, English lift and laundry chute. Many of these features are unique to the home but were innovative when the home was built back in 1869. 8. The sound of the creaking wood floor. This sound is so specific to an older home. The floors are not carpeted in the main areas and each step is a reminder of the hard work that went into building this home. 9. Living in a home with astounding architectural details. Older, historic homes have so many details that make them unique. 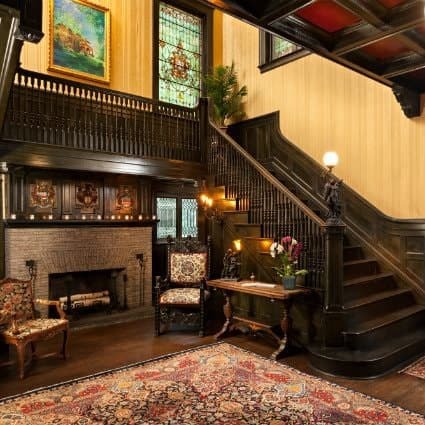 Vrooman Mansion has eleven fireplaces, numerous built-in cabinets and bookcases, unique brickwork and tile, and 11-1/2′ ceilings. These are just some of the details that make Vrooman Mansion one-of-a-kind! 10. Waking up each morning to the aroma of fresh brewed coffee and crispy bacon. 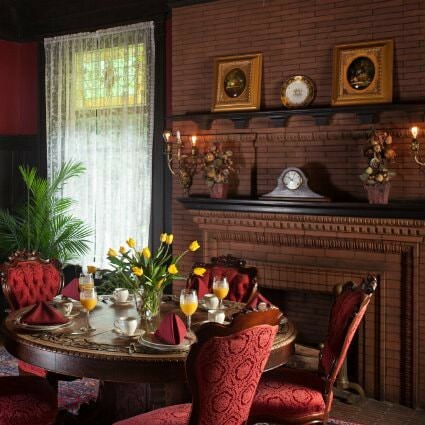 Each morning on the first floor of Vrooman Mansion a gourmet, homemade breakfast is offered to our guests. I am lucky enough to enjoy the aroma each morning from all the way up on the third floor. Vrooman Mansion has a story to tell. It was built 150 years ago and still has most of the original details that make it unique. Each day Vrooman Mansion welcomes guests to come and enjoy the beautiful bedrooms, sitting rooms, porches, and delicious homemade breakfast each day. 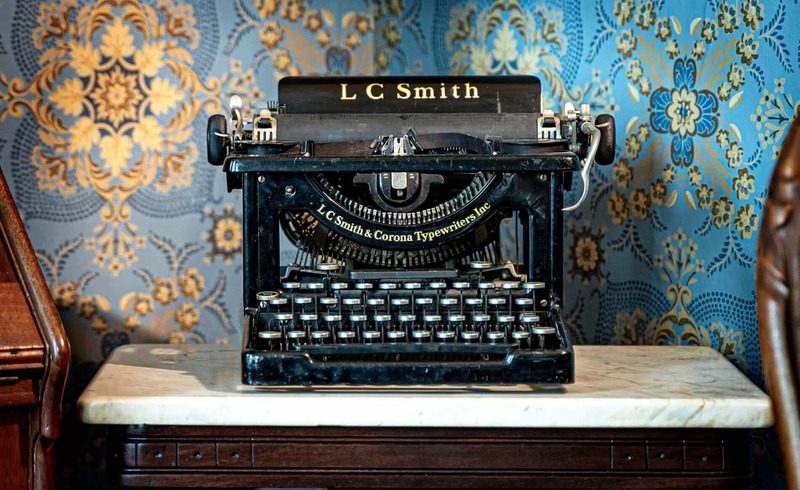 Book your stay with us and make Vrooman Mansion part of your story. This entry was posted in The Mansion and tagged craftmanship, historical, old house, stained glass, vrooman mansion, woodwork by admin. Bookmark the permalink.